Let’s not waste any more time! 2017 is on its way and it is sure to be your most romantic year yet! While visions of pink and red may come to mind when you think about the subject of romantic love, our preferred colors having to do with love happen to be white and turquoise, which remind us of the stunning Caribbean scene found in Cancun. What better way to pamper your wife, husband, girlfriend, boyfriend or special friend than with a vacation to Villa del Palmar Cancun, where together you’ll experience an amazing trip neither one of you will ever forget. 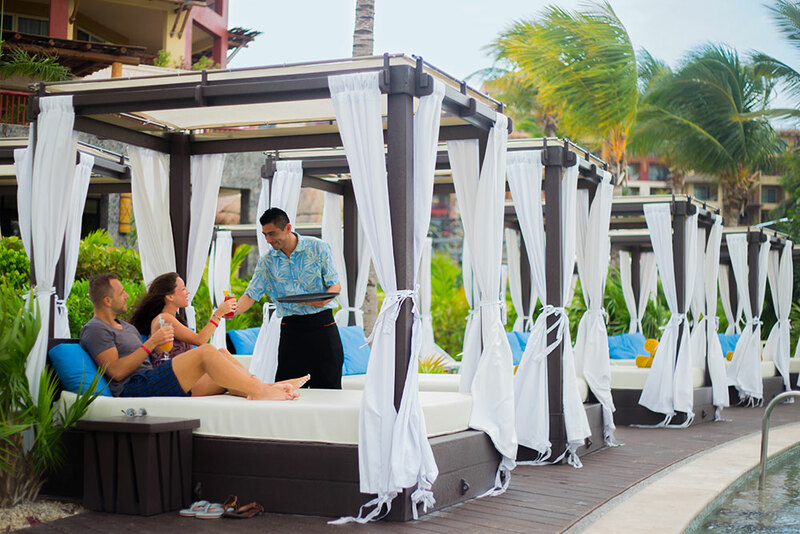 All of the friendly faces you encounter on staff at Villa del Palmar Cancun will be more than happy to help you celebrate your romantic trip in style, and are committed to creating an atmosphere filled with details that will ensure your comfort and delight throughout your stay. While any given day in the year can be a fun time to pamper your better half along with yourself, you surely have some dates on your personal calendar that are significant to your particular relationship. Reasons to celebrate such as your anniversary, your honeymoon, your first vacation as a couple or even Valentine’s Day are the best kind of excuse to get away on a romantic escape. In order to get the exact dates you’re after, be sure to book your trip in advance, and when making your reservation, tell the agent that it will be a romantic vacation. This will give them the chance to fill you in on all of the special romance-enhancing options you may want to experience. If you really want to go all out, book a romantic stay in one of the exclusive penthouse suites at Villa del Palmar Cancun that come with their own private outdoor Jacuzzi. Likewise, a One Bedroom Suite is a splendid option and comes with a whirlpool tub. Get in the mood for love with a Romantic Dinner for Two, or use the Private Chef service in your very own suite for the ultimate in privacy as you dine. Tasting wine or tequila will also certainly spark a flame between you and your sweetie. When you decide to dine at any of the amazing on-site restaurants, you will want to mention why you are on vacation so that the staff can make your meal incredibly special for you. Nothing will make you feel more spoiled than an indulgent trip to the Village Spa with your significant other. With a spa menu including everything from soothing Mayan couples rituals to relaxing couples massages, lovebirds are sure to love every minute they are there.